NEW YORK, New York, August 4, 2017 (ENS) – Two tons of confiscated illegal ivory were crushed in New York’s Central Park on Thursday in an event hosted by the state Department of Environmental Conservation, the Wildlife Conservation Society, and the jeweler Tiffany and Co.
Street value of the crushed ivory, which represents more than 100 elephants, is estimated at $8.5 million. The thousands of ivory tusks, trinkets, statues, jewelry, and other decorative items that were crushed were confiscated by DEC’s environmental conservation officers during law enforcement actions. By removing ivory from the market, experts believe crushing it devalues the market for ivory and will help end the ivory trade. In 2014, Governor Cuomo backed a new law that banned the sale of elephant and mammoth ivory and rhinoceros horns in New York and strengthened the criminal and civil penalties for buyers and sellers whose actions are endangering elephant populations worldwide. Since the ban was enacted, enforcement actions by the Department of Environmental Conservation, DEC, have targeted 16 corporations and 31 individuals. “Through Governor Cuomo’s leadership, our Environmental Conservation Officers are working tirelessly to crack down on this illegal trade and we continue to send a strong message across the globe that illegal wildlife trafficking must end,” said DEC Commissioner Basil Seggos. “I commend the Wildlife Conservation Society, Tiffany and Co. and our other conservation partners who joined with us today to highlight our ongoing enforcement actions and efforts to reduce the market for illegal ivory,” Seggos said. In September 2016, DEC and the Manhattan District Attorney’s office announced the largest seizure of illegal elephant ivory in New York State history after the owners of an antique store were found to be selling ivory items at a price of more than $4.5 million. A new report from the UK-based wildlife monitoring organization TRAFFIC credits DEC’s enforcement actions for reducing the ivory market in New York since the ivory ban was enacted. 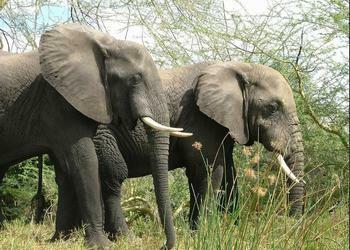 African elephants are listed as threatened under the U.S. Endangered Species Act and further protected under the U.S. African Elephant Conservation Act. Commercial international trade in elephants and their parts is also prohibited under the Convention on International Trade in Endangered Species – a global treaty through which the U.S. and 181 other countries work to protect species at risk due to trade. Despite local successes and progress in some countries, tens of thousands of elephants are still being killed illegally every year in Africa for their ivory, with about 20,000 killed in 2015 alone. 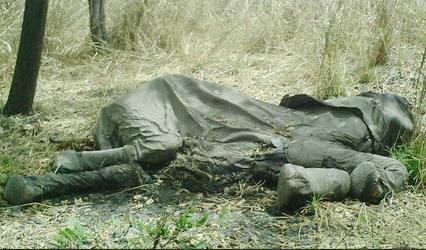 Since 1989, the population of African elephants has fallen by half, to about 400,000. The Wildlife Conservation Society estimates that between 2010 and 2012 alone, some 100,000 – nearly 96 every day – were poached across the continent to fuel the ivory trade. Dozens of international and national conservation organizations were present in Central Park to send a strong message to the world that New York State and its partners will work to end wildlife crimes that threaten to wipe out African elephants and many other species around the globe. John Calvelli is executive vice president for public affairs of the Wildlife Conservation Society, WCS, based at New York’s Bronx Zoo. WCS is in charge of all the city’s zoos and its aquarium. Calvelli also serves as director of the WCS 96 Elephants campaign, so named because 96 elephants are killed in Africa every day for their ivory. WCS works in 12 African countries inhabited by elephants, overseeing ranger teams and managing national parks, partnering with communities and conducting research. Calvelli said the Central Park ivory crush sent a powerful message to elephant poachers and ivory traders. 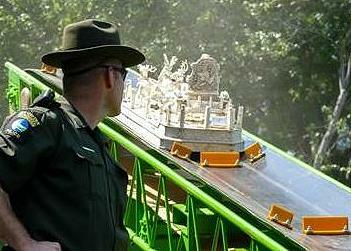 “The crushing sounds inside Central Park today equal justice for elephants. The crusher pulverized more than two tons of elephant ivory, ensuring that this ivory will never again bring profit to the criminals killing off the world’s elephants. “By crushing a ton of ivory in the middle of the world’s most famous public park, New Yorkers are sending a message to poachers, traffickers and dealers who try to set up shop right here on our streets,” Calvelli said. Ivory crushes have occurred around the world since 1989 as governments seek to send a stern message to poachers, traffickers and buyers and raise public awareness. As of June 2016, more than 19 countries and territories had destroyed more than 320,000 pounds (145 metric tons) of confiscated ivory, representing roughly 14,600 elephants. 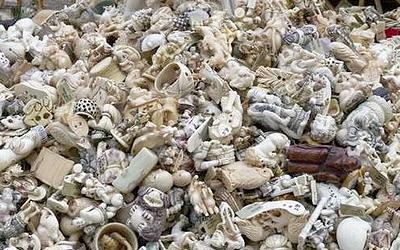 The first U.S. ivory crush took place in Denver, Colorado in 2013. Similar events have been held in Hong Kong, the Philippines, Gabon, Kenya, and Belgium. Tiffany & Co., a member of the U.S. Wildlife Trafficking Alliance, is supporting the ivory crush event while also launching Tiffany Save the Wild, a new collection of elephant charms and brooches to be offerred worldwide in stores and on Tiffany.com this fall. All the net proceeds of the collection will be donated to the Elephant Crisis Fund. World Elephant Day is marked on August 12. WCS invites everyone to sign up here to receive 10 easy, fun, supportive actions in the 10 days leading up to World Elephant Day.